This Searle illustration, probably done for a magazine, is fascinating to me. 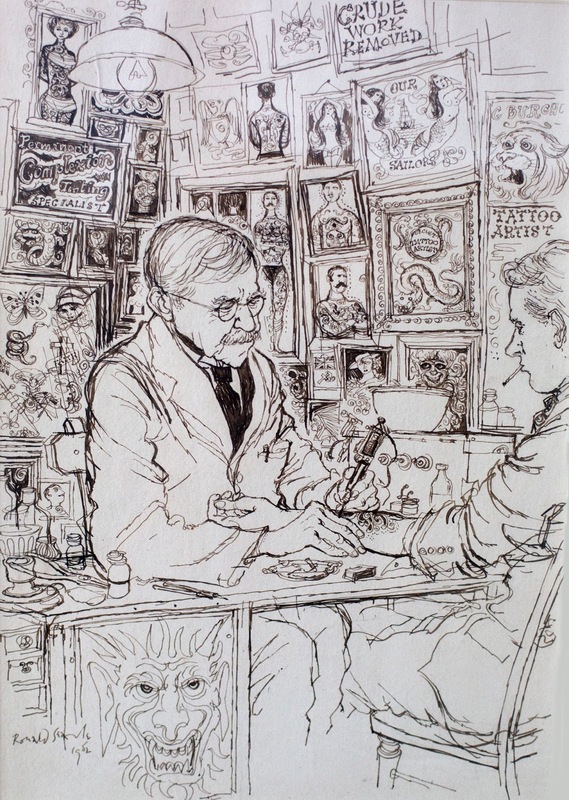 You have to go back as far as the early 1950s to find a tattoo artist depicted like a university professor. Searle creates an incredibly detailed backdrop for his two subjects, but your eye still stays on the two men, who are drawn with less line work. 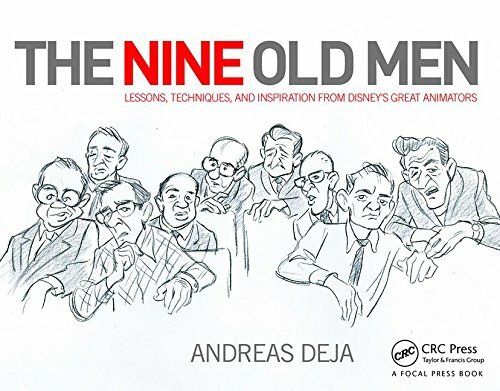 This type of realistic and thoroughly observed work informs you about Searle’s solid drawing knowledge, which served as a basis for his much more caricatured book illustrations. A true master, who continues to influence many artists to this day.